Xavier de Richemont is a French painter born in 1959 in Algeria. He lives and works in Angers (France). He studied painting at the Ecole Nationale des Beaux-Arts in Aix-en-Provence (France). He then worked worldwide for theater and opera with artists such as Robert (Bob) Wilson, David Salle and Andy de Groat. 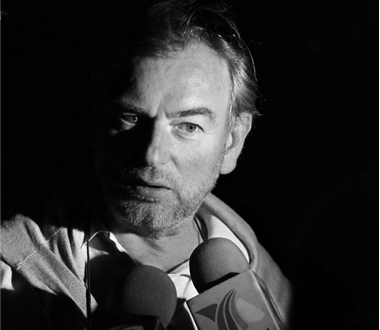 Xavier de Richemont has created for 20 years multiple monumental video works around the world. 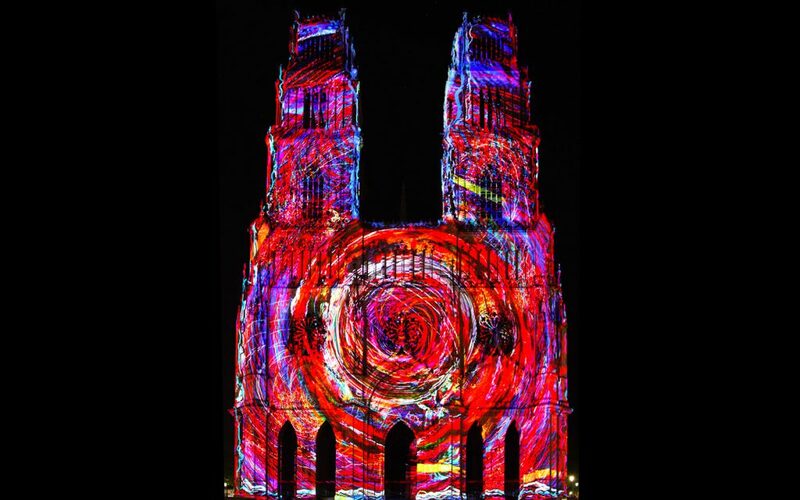 In 2002 he created the first Festival of Lights of Chartres (France) where he was the only artist for 10 years. In 2010 he is invited by the Mexican government to commemorate with his work the bicentenary of Independence and the centenary of the Mexican Revolution in 7 emblematic cities of the country. In 2012, he signed the opening of the Mayan Grand Museum of Merida (Mexico) with a founding work «Yuca’ma’yab» on the Maya World. In 2014 he set up a work on the American soil by proposing for the next decade his «San Antonio – The Saga» a masterful 24-minute video work created for the oldest cathedral in the USA (San Antonio, Texas, USA). He designed in 2015 a monumental artwork for the king of Morocco in Marrakech. Xavier de Richemont has participated in numerous International Festivals and Video Art events in the United States, Canada and Germany, notably in the context of Europeans Capitals of Culture. His trilogy (2016-2018) dedicated to Joan of Arc for the city of Orleans has been unanimously recognized as innovative. The French Embassy in India ordered him in 2017 a monumental artwork for Amber Fort in Jaïpur (Rajasthan). 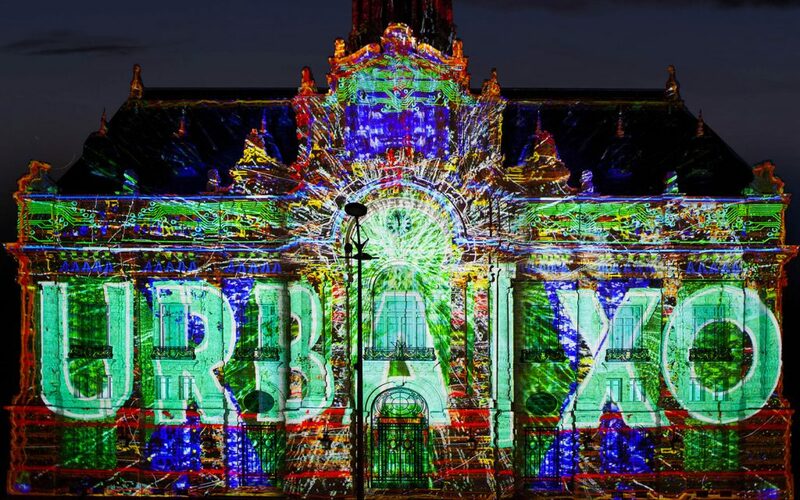 The work «Bhargal» was presented as part of the opening of the Bonjour India festival. 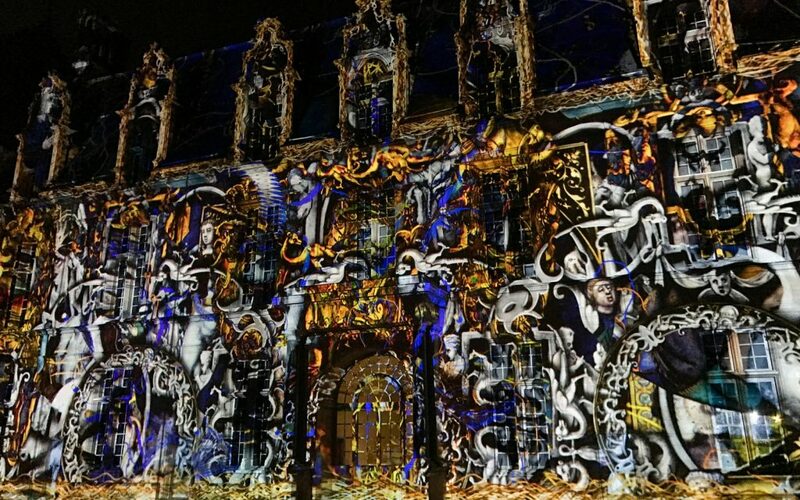 He prepared in 2018 for The National Museum of the Renaissance an original work about the art collection of the Château d’Écouen ordered by the Ministry of Culture. He just signed a colossal artwork on the history of spinning in the city of Roubaix (France) and is currently working on several project in the United States, in India and Mexico. His works can currently be seen in France, Spain, the United States or Mexico. The significance of the meaning contained in his work is major. This particular graphic treatment with lyrical strokes and movements, playing on the slowness of the movements and the vibration of contours, masses and colors, thus assembling figuration and abstraction, narration and music, is very personal to him. This work is composed and projected on video. His research of a new way of writing through contemporary means, his scenic experience and his painter temperament make him one of the most sought French video artist in the world.